Meet your guide at Shinjuku Keio Plaza Hotel (near the JR Shinjuku Station) and board a bus to the Hotel Gajoen Tokyo where the architecture style has served as an inspiration for one of the Ghibli films. First stop is Hotel Gajoen Tokyo where the architecture style has served as an inspiration for one of the Ghibli films. Enjoy lunch at the hotel before leaving for Ghibli Museum. On the way to the museum, your guide explains the features of the museum and the history of Studio Ghibli, the Japanese animation film studio that has produced acclaimed works including the Academy Award–winning film "Spirited Away". When you arrive, enjoy 2 hours to explore the museum on your own (your guide won't accompany the tour during the museum visit). See various exhibits that describe the animation process, take your kids to the play space, or watch a short film by anime director Hayao Miyazaki only available for viewing on-site. Children will delight in the fun way that Ghibli characters are featured throughout the museum. 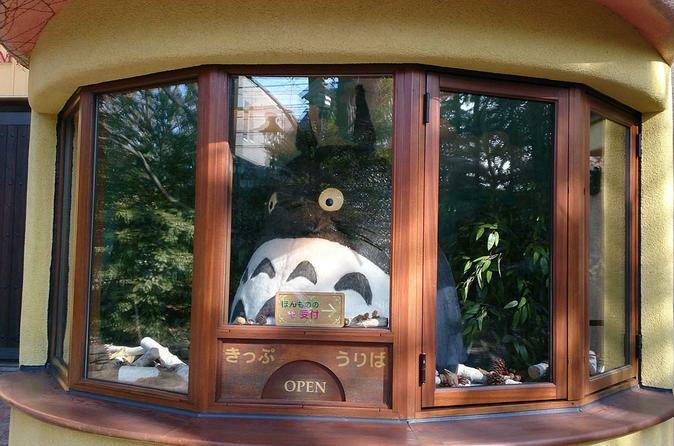 After learning everything about Ghibli, leave the museum for Edo-Tokyo Open Air Architecture Museum. The seven-hectare museum features various exhibitions, reconstructed buildings from the different periods of Japan, as well as a beautiful outdoor garden area. You can also enter and explore some of the buildings of different styles, periods, and purposes and experience the atmosphere of some Ghibli films. Edo-Tokyo Open Air Architecture Museum is closed on Monday and instead you'll visit Jindaiji Temple or Takahata Fudoson Temple. When the tour is concluded, your bus will transfer you back to the Shinjuku area around 5:30pm.